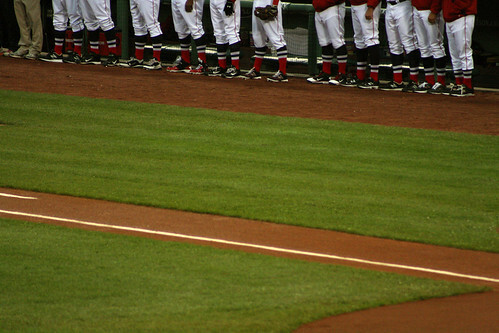 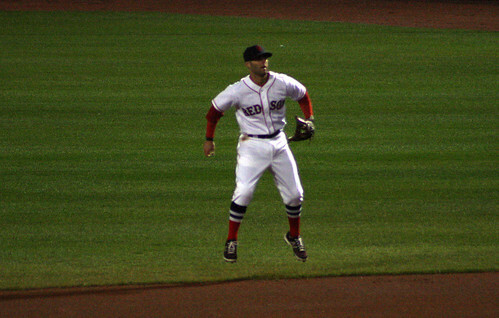 Red Sox Photoblogging: High Socks for Everyone - Cursed To First - Sox and Pats forever. 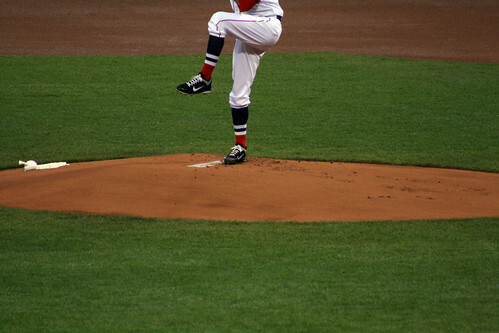 My first live game of the season Wednesday night basically amounted to three-plus hours of shivering and ill-timed Red Sox strikeouts, as the hometown team faltered through nine futile innings against the Oakland A's. 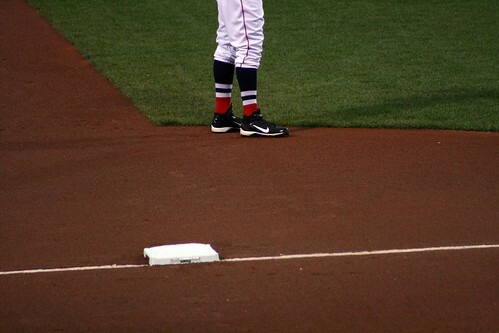 But there were some delightful aspects of this game, too, like the fact that every player on the field and in the dugout was decked out in stripey high socks as part of 1936 throwback uniforms, worn in honor of Jimmie Foxx's first season in the majors.